Sometimes referred to as Floating Floors they an engineered plank manufactured to precise tolerances from a sub-floor of usually laminated ply-boards to which natural timber of approximately 4 mm of solid timber is glued then pre-coated all of which is done in the factory. This method produces a very strong, durable product which comes in a box of around 2 Sq Metres which can be laid straight from the box to the floor and once installed it is the finished product. It can be laid over virtually any base, provided it’s flat and structurally sound and moisture protected where appropriate. They come in a range of species giving attractive colours and a range of widths of timber across the plank giving the effect of wider or narrower boards, known as 1, 2 or 3 strip. Engineered flooring can be laid by the average handy person and is a very efficient means of installing a real timber floor. 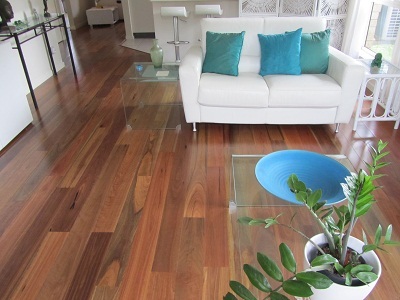 Wood Floor Solutions stock an extensive range of trims that are used in the installation of engineered flooring.